Towards the middle of Vietnam, close to the mouth of the Thu Bon River is Hoi An. This small city used to be an old trading port and is particularly famous for its beautiful Ancient Town, which has been listed as a Unesco Heritage Site since December 1999. In this guide, I will tell you some of the things you could do in the city if you were to visit for a short trip such as 24-48 hours. 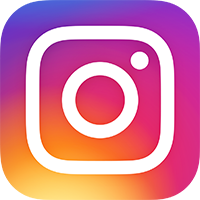 You will also find suggestions on places to eat, places to stay, photography tips and some helpful destination information. 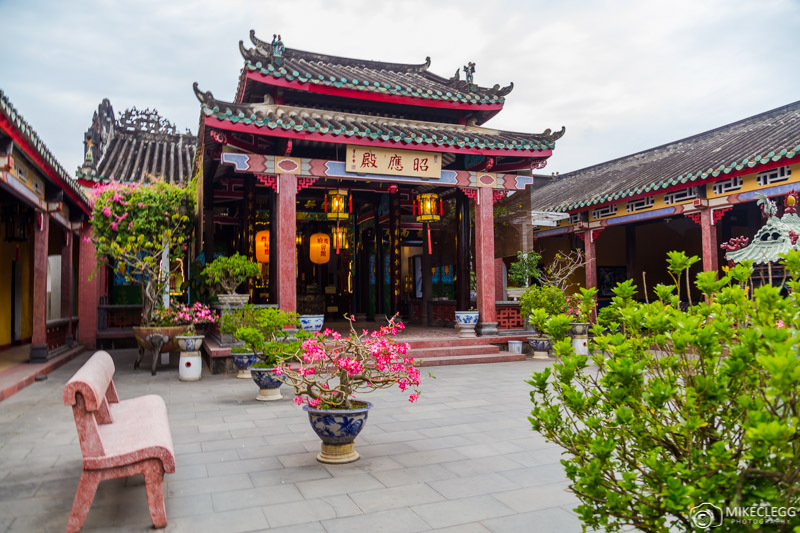 Within and around Hoi An are lots of things to do, from exploring the Ancient Town, visiting the markets, heading to the beach, or even taking excursions such as to the My Son temples outside of the city. Below you will find lots of things for you to do during your visit to the city. One of the highlights of the city is the Ancient Town, which dates from the 15th to 19th Century and consists of over 1000 timber-framed buildings close to the river. The buildings are all extremely beautiful, with the exteriors painted mostly in a wonderful yellow colour. Within the Ancient Town you will find temples, assembly halls, a famous Japanese Bridge, communal houses and various other architecture monuments. 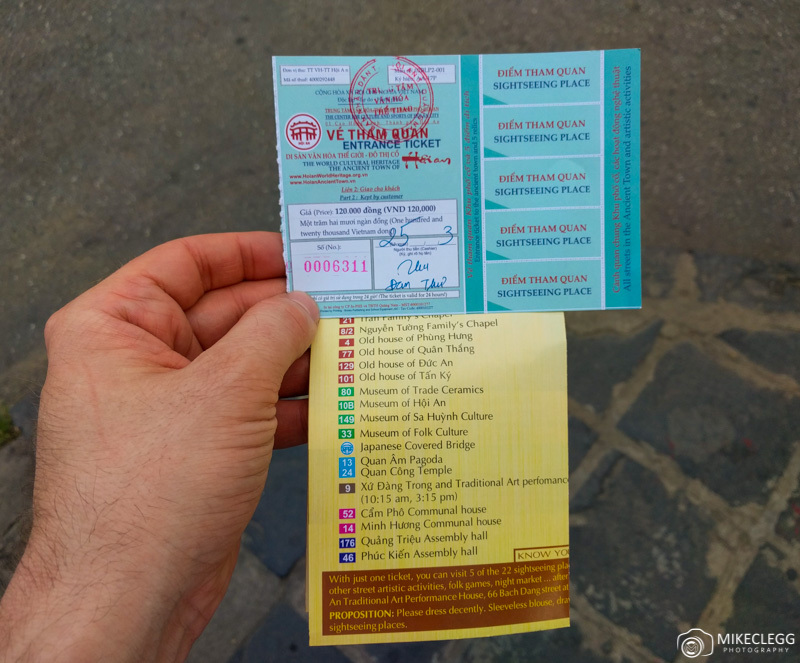 A good way to explore the Ancient City of Hoi An is to get a ticket which gives you access to 5 out of about 22 attractions! With this, you get 5 stubs, and when you go into a place the ticket control will take one of the stubs in exchange for entry. During my visit, I decided to visit the Japanese Bridge, Old House of Tan Ky, Museum of Hoi An, Tran Family’s Chapel, and Hai Nam Assembly Hall. I recommend having a look online at pictures and then decide from there. A few of the places I went such as Nam Assembly Hall I was in and out in around 5-10 minutes. Below you will find some details and pictures from the places I visited. 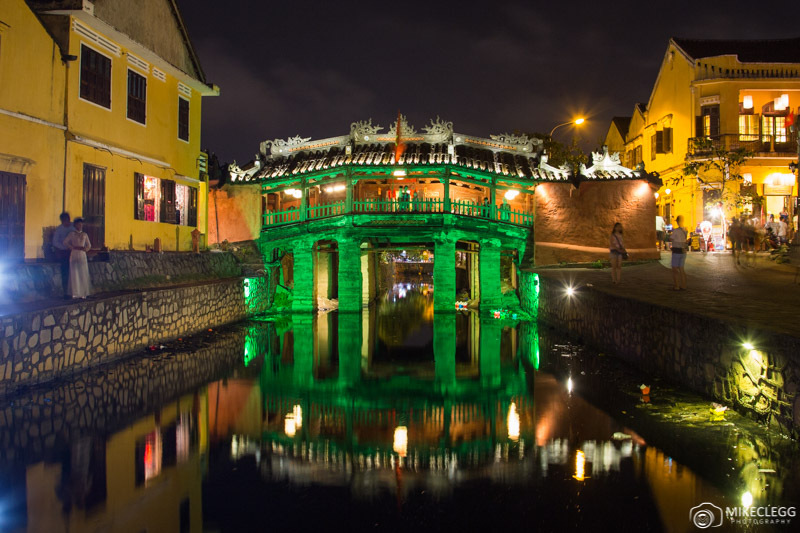 The Japanese Bridge dates from the early 17th Century and is built in the old Japanese Quarter of Hoi An. The bridge is probably the most famous landmark of the Ancient Town. It’s possible to visit the small temple located inside using the vouchers mentioned above. The temple is small though and there isn’t an awful lot to see. I personally found the exterior more interesting. This house is along the very beautiful Nguyễn Thái Học street close to the Japanese Bridge. 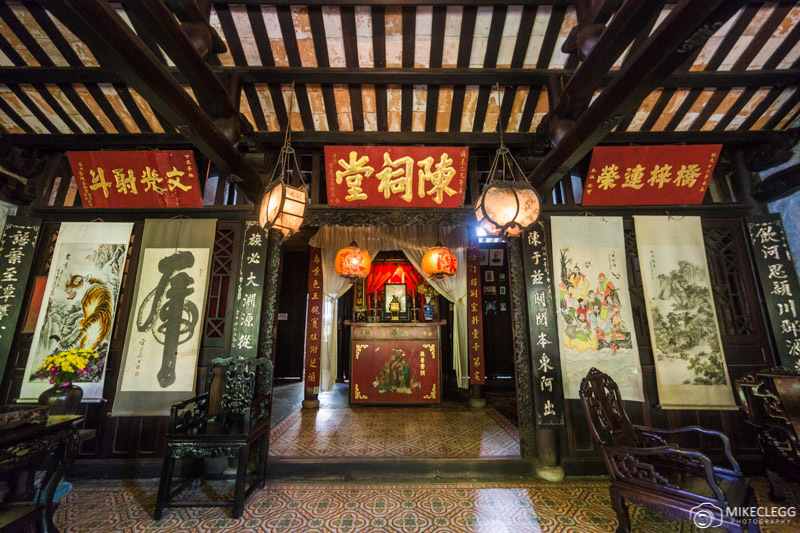 The Old House of Tan Ky is a 200-year-old merchant shop consisting of Vietnamese, Chinese and Japanese architecture. When visiting you’ll get a brief tour explaining a little about the house and what you can see. Only the ground floor is open as the upstairs of the building is still used by the 6th-7th generation of the family that owns it. 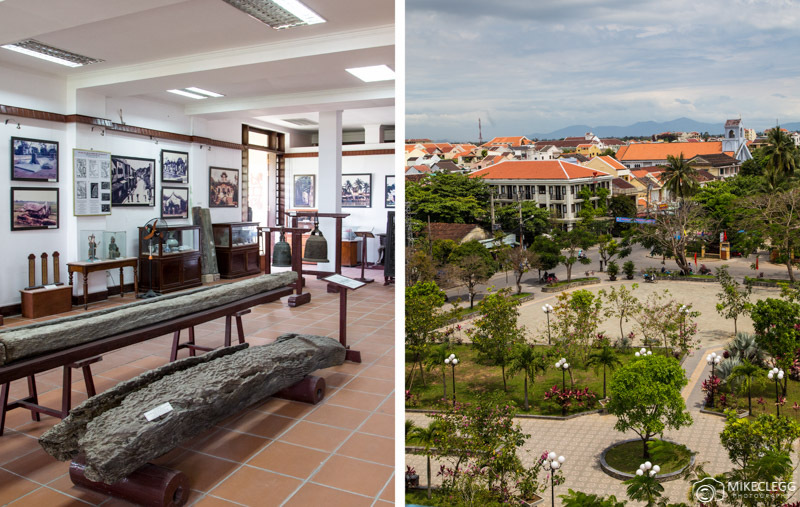 The Museum of Hoi An has four floors with different things on each level. On the ground floor was a selection of beautiful photos from a Vietnam heritage photo awards in 2015. 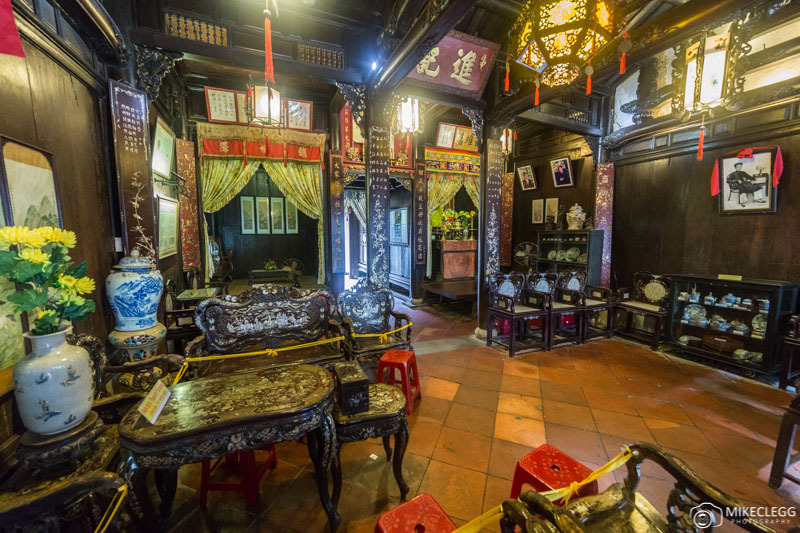 The second floor has some history of Hoi An and various artefacts from previous wars. The third floor had a gallery of paintings and artwork. And finally, from the fourth floor, you get some elevated views of the city. I found this museum particularly interesting and it was one of my favourite attractions I visited. Similar to the Old House of Tan Ky (mentioned above) this building is also 200 years old and has Chinese, Japanese, Vietnamese architecture. I found the interior very beautiful and during the tour you’ll be told about some of the design elements. Such as part of the roof beams have five columns representing the elements metal, fire, water, wood and earth. And three support beams which represent the sky, the humans and the earth. Within the chapel is also a shop selling various gifts and other items. There are several Assembly Halls that you can visit using the vouchers. I visited the Hai Nam Assembly Hall which is a Chinese style building and built in 1875 in memory of Chinese traders that were killed by accident when mistaken as pirates. The Assembly Hall consists of a temple, courtyard and various other buildings. An alternative Assembly Hall that I would have liked to visit, would have been the Fujian (Phuc Kien) Assembly Hall which looked a lot bigger. 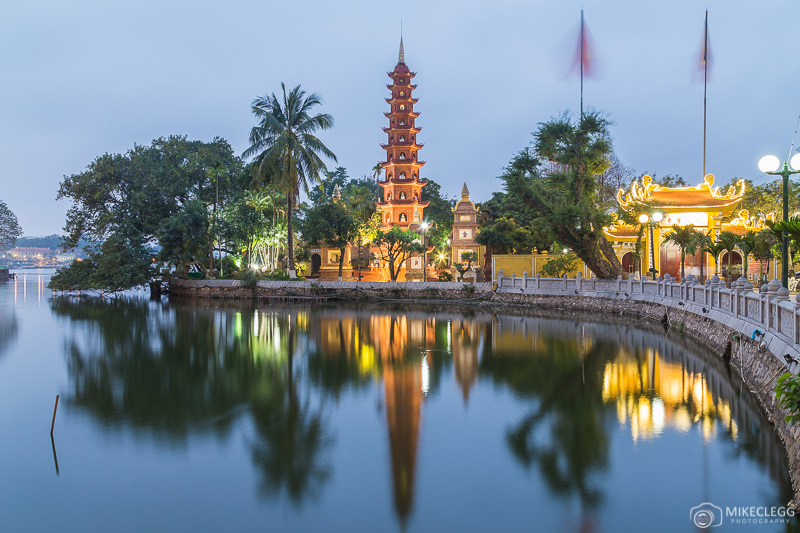 In and around Hoi An are various tours. My Son Sanctuary is a fantastic complex to the west of Hoi An about 1 hour drive away. The temples are from the 4th-13th century and in 1999 were listed as a UNESCO World Heritage Site. Unfortunately, the temples are actually ruins now as they were bombed in 1969 by President Nixon who thought the Viet Cong were hiding there. Around 90% was destroyed but some of it has since been rebuilt. 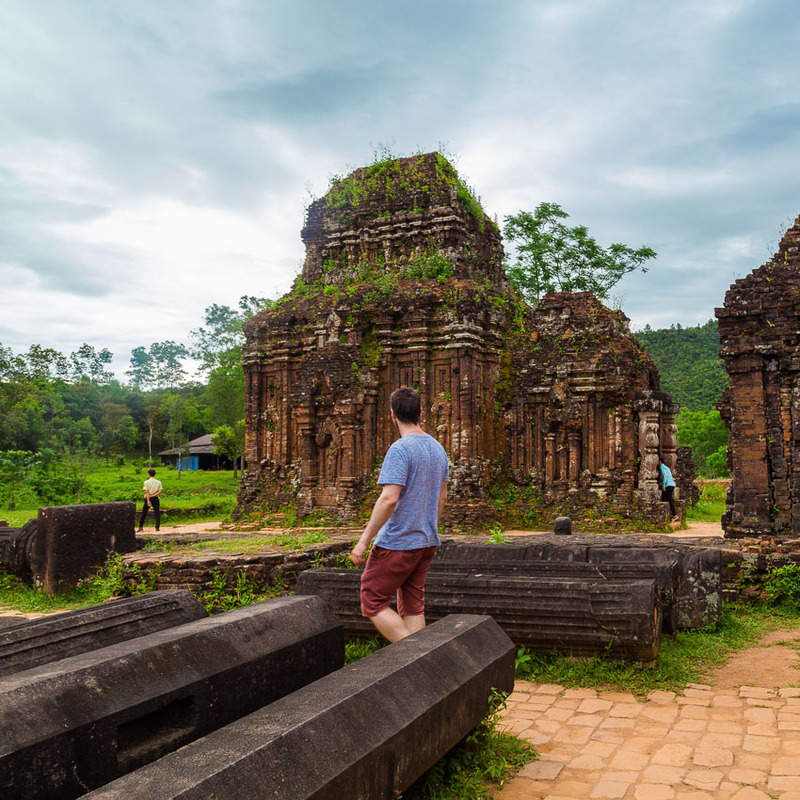 During my stay, I went on a tour with hoianexpress which was a great way to see the temples. The tour started with a prompt pick up from your accommodation. Followed by travel through scenic roads on the way to My Son. I really liked this part of the trip as I loved gazing out at the rural areas of Vietnam and seeing farmers working in fields. Once at My Son our guide Erik (who spoke great English) showed us around the temples providing detailed information about the temples and their history. Following the temples, you get a short boat ride and then see some traditional pottery making, where one of the ladies spins the pottery wheel with her foot whilst another shapes the clay. The clay actually comes from the local river which I found interesting. Other tours available include a Marble Mountain Tour, Hoi An City Tour, a Lantern making course and various others. Head to hoianexpress.com.vn/ha/st_location/vietnam/hoi-an/ to read more. 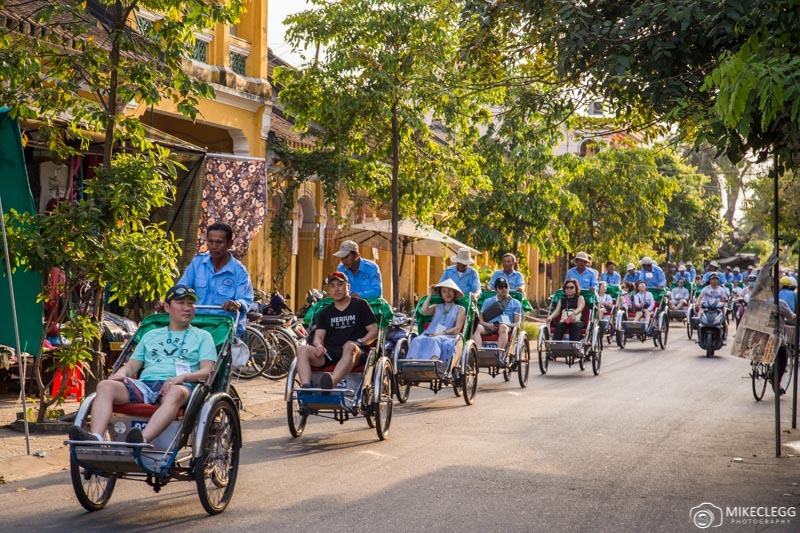 Here are some other things you can do whilst visiting Hoi An. 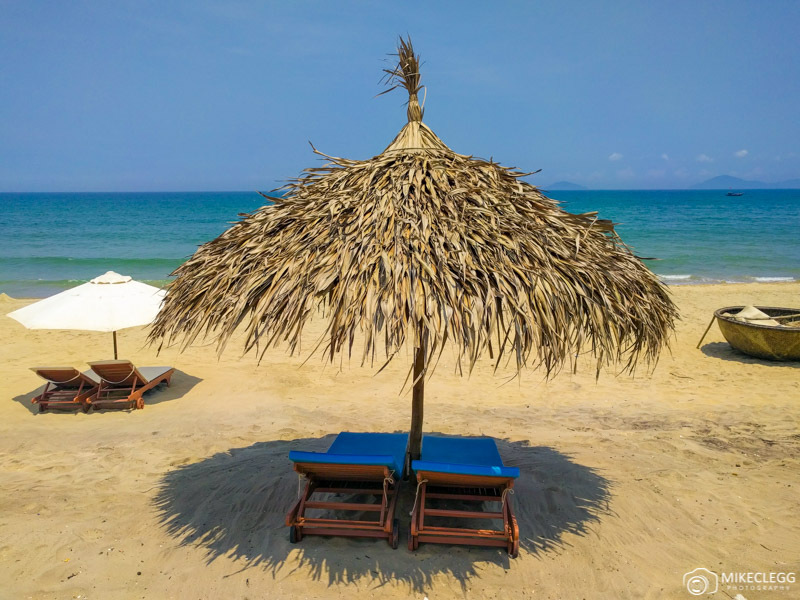 A great day or afternoon out is to visit the local Cua Dai Beach. I found the beach was a lot nicer towards the north and you’ll find lots of deck chairs, places to eat and beautiful sand. The water is also very clean and pleasant to swim in. 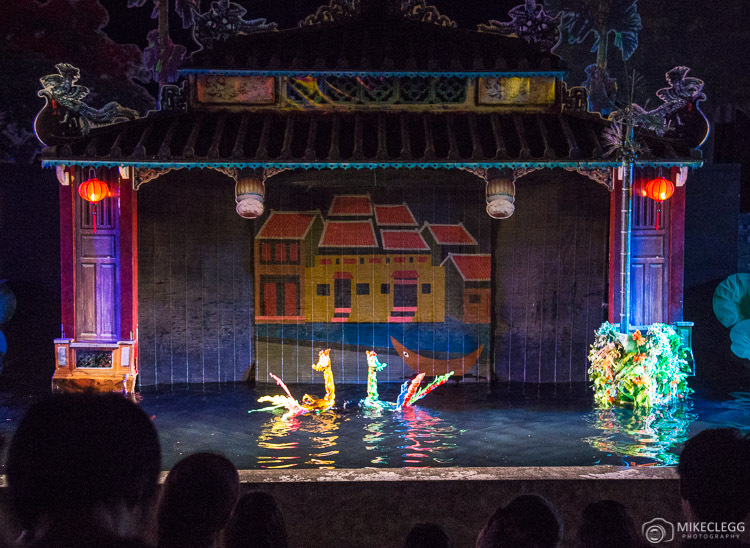 A water puppet show is a great way to see some Vietnamese culture and entertainment! I found the performance impressive, especially some of the movements the artists do with puppets! There was even fire and sparkles during my show. It was around 45 minutes long and cost only 80,000 VND. This would be especially good for children, although adults should still be able to find it entertaining like I did! Boats tours look great and provide a tour around the neighbourhood. I enquired about the tours and was quoted 100,000 VND for 30 minutes or 150,000 VND for 60 minutes. These particular prices were for the larger boats, not the smaller ones. 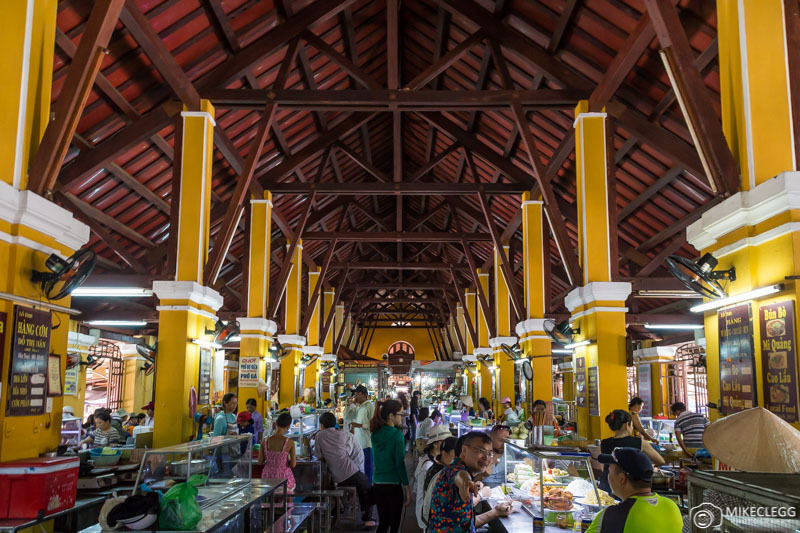 The central market is a great place to go for food, smoothies, to buy local produce and many other items. You will definitely pass it a few times whilst you explore Ancient Town, so why not pop in! I actually found it quite amusing that you would walk along the streets and sometimes turn a corner and see what looked like an army of Cyclos coming towards you! They move slowly so that makes it even more interesting to watch. I asked how much these cost and was quoted 200,000 VND for 30 minutes. 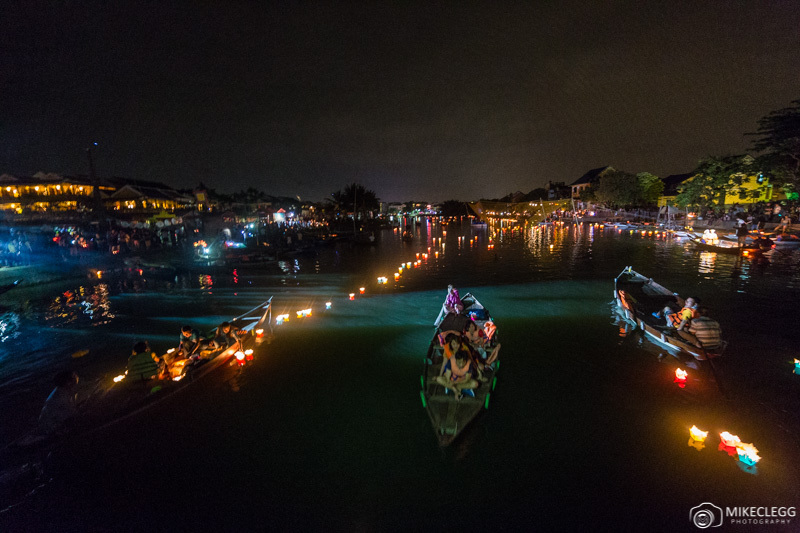 If you are in the city during Earth Hour, you’ll find the whole Ancient Town goes dark, and the only light you’ll see will be from little candles in restaurants and floating lanterns in the water. It’s quite hard to capture but hopefully, the below image gives you an idea. Earth Hour has previously been in March but check the official website www.earthhour.org for more information. Hotels and Homestays often hire bikes out and it costs around 25,000 VND and makes for a fun way to explore the city. Some hotels may provide bicycles for free. 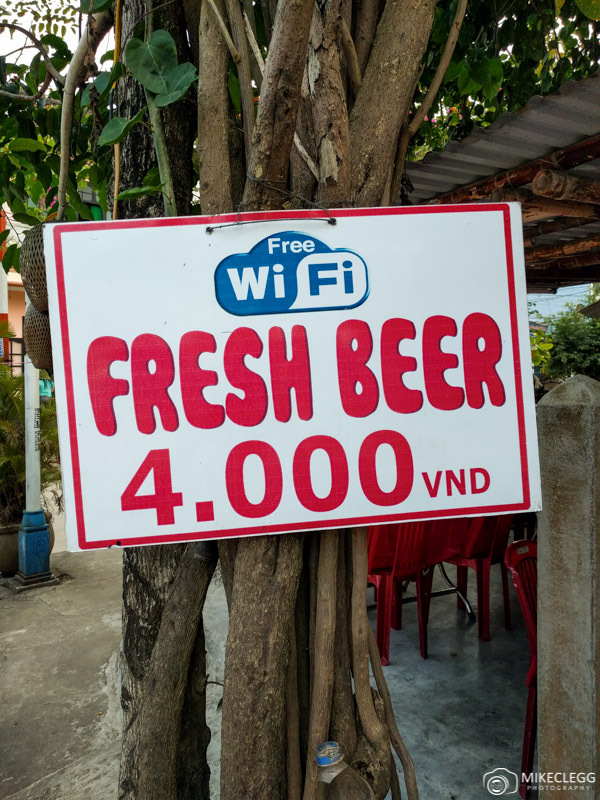 Throughout the Ancient Town various bars/restaurants have super cheap beer for 4000 VND, which equates to about 18 cents USD. The beer was quite light but refreshing. It’s probably a half pint size, but still crazy good value for money. I went to one place and they were even doing “Buy One Get one Free” for Happy Hour. Several other bars also have happy hours on their drinks and the prices are around 20,000 for a large beer. Food throughout Vietnam is cheap and extremely tasty. 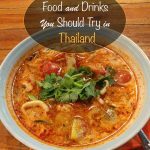 You will probably find the food at restaurants in the Ancient Town a little more expensive than outside, but it’s worth it for the setting. A few things worth trying while you are in the city are White Rose Cake, Bun Cha, Bánh mì, Pho Soup and Vietnamese spring rolls. Slightly outside the Ancient Town to the east is Karma Waters Vegan Restaurant. The restaurant isn’t fancy but makes for a great place to go for a cheap and healthy dish, such as seen above. One of the cutest cafes I went to and is close to the central market. They serve fresh smoothies for around 60,000 VND, coffee, tea, sandwiches, pancakes and other food. Close to the beach is Brocolli where I popped for lunch. I had a Bahn Mi and also some happy hour beer. Both were great and very cheap at only 15,000 VND for the beer and 30,000 for Bahn Mi. On the menu were plenty of other options though. The restaurant was quite new and I can’t find the proper address, but you’ll find it along Trương Minh Hùng. 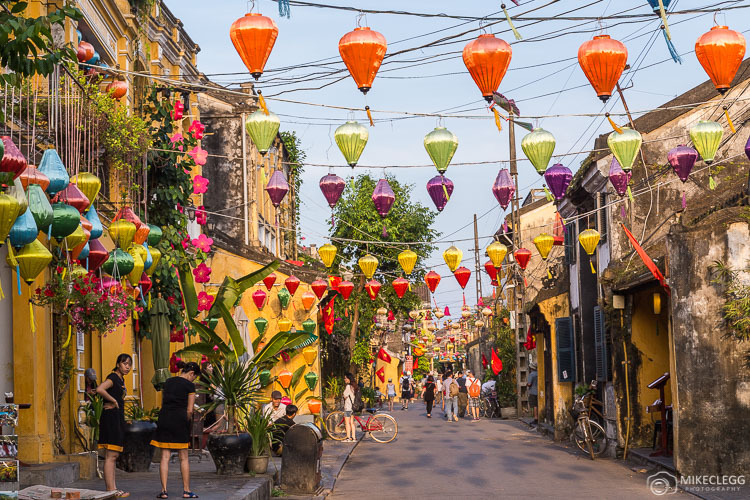 This restaurant is located along Nguyễn Thái Học, which is one of the most beautiful streets in Ancient Town. The food at the restaurant is traditional Vietnamese and the setting is a slightly fancier than some of my other suggestions. It would be a good idea to reserve a table as some of the restaurants along this street get very busy. 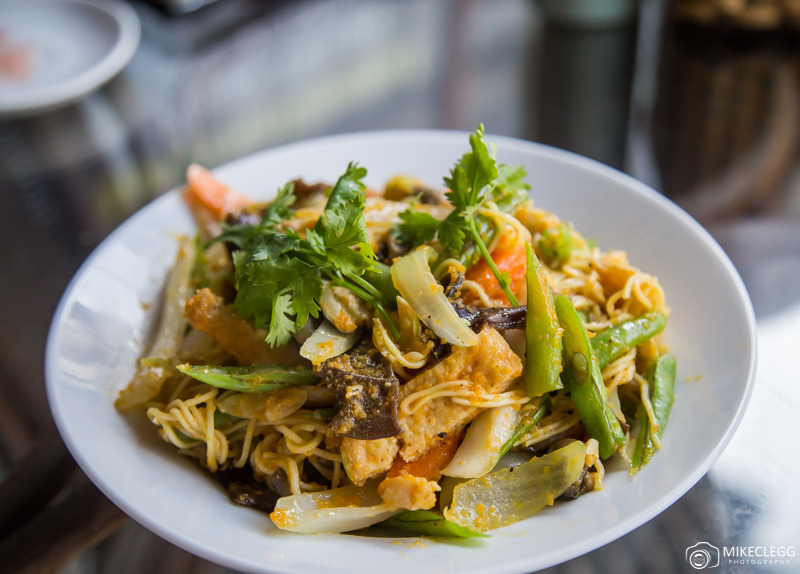 A great place for both lunch or dinner, and serving Vietnamese dishes as well as Western food such as burgers, pasta and pizzas. The restaurant is in the centre of Ancient Town. Address: 51 Lê Lợi, Minh An, Tp. For other nice restaurants consider looking around streets “Nguyễn Phúc Chu”, “Bạch Đằng” and “Nguyễn Thái Học” which are all quite pretty places to go. For advanced research have a look on www.tripadvisor.com. Throughout the city are plenty of places to stay from hotels, hostels and homestays. During my stay, I had a bad experience at Jackfruit Homestay, as it may have had bed bugs and the room was very dirty. I immediately checked out and went to find another place mentioned below. Homestay (Budget) – Pink Buds Homestay (Based on personal experience) – I ended up at Pink Buds Homestay, which is about 20 minutes walk to Ancient Town and was fabulous with a very nice family running it. They provide a breakfast menu and I got addicted to the Banana pancakes. Hostel (Budget) – Tribee Cham (Based on location and reviews) – This hostel has received an average of 8.4 from over 360 guests reviews. The location is also good and a short walk from the centre of Ancient Town. Boutique – Little Hoi An Beach Boutique Hotel & Spa (Based on beach location and reviews) – Located very close to the beach but a little bit away from the Ancient Town, this hostel would be great for those wanting to relax more and then travel into the Ancient Town at other times. The hotel comes with a spa, pool, fitness centre and restaurant. Luxury – Hotel Royal Hoi An – MGallery by Sofitel (Based on pictures and reviews) – An absolutely stunning hotel located close to the Ancient Town, and with a review score of 9.1 based on 299 reviews. The hotel has an absolutely stunning pool, spa facilities, a couple of restaurants and lots of other great features. For other options in Hoi An head to Booking.com. On my arrival to Hoi An I got an airport transfer through my hotel which cost $15. On my return I used hoianexpress.com.vn which was a lot cheaper at $6 USD and easy to use. Throughout Hoi An are other options available from booking agencies. Hoi An and the surrounding area is beautiful and easy to get around. In the Ancient Town and local area, you could walk or cycle. Some accommodation has bikes available to rent for a small fee. 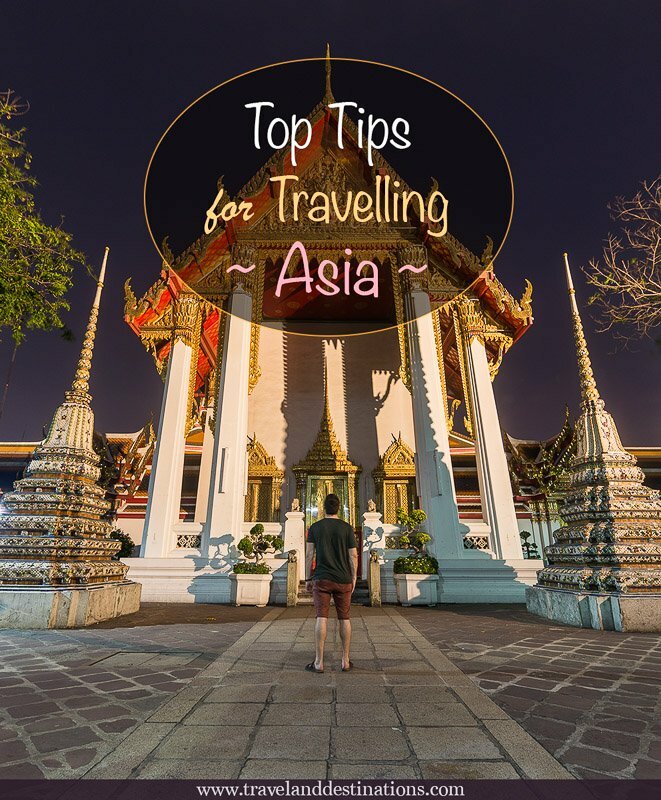 You could also hire a motorbike or go on a tour if you are travelling a bit further. 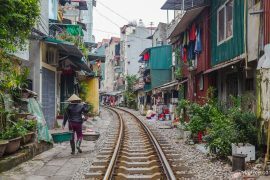 Arrive by train or bus: – Use local travel agencies to book trains and buses to and around Hoi An. You’ll find these around Vietnam and neighbouring countries. 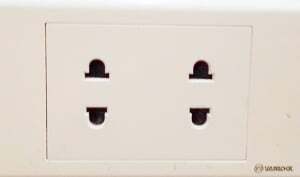 Power supply: – The socket type in Vietnam would take plug types A and C although it can vary between properties. Whilst travelling I used a Skross PRO World Travel Adapter which got me connected throughout the country. Head out early to get pictures of the Ancient Town before it gets busy. Use reflections in the Thu Bon River to add an interesting element to your images and help the framing. Take photos of Ancient Town at night when it’s lit up, including the Japanese Bridge. Remember to use a tripod for this. 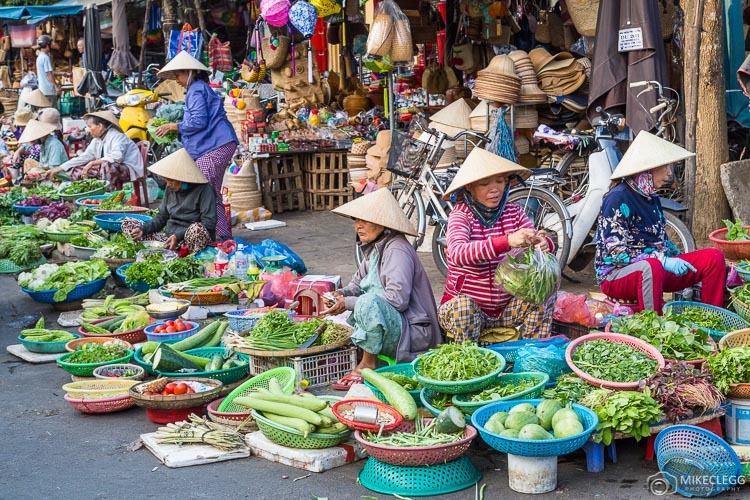 Capture local culture near the central market where you’ll find lots of ladies selling fruit, vegetables and other fresh produce, which all makes for great pics. When visiting temples remember to dress appropriately, ie no sleeveless tops, short skirts and shorts. Consider using hoianexpress.com.vn for tours and transfers. Carry bottled water when exploring to stay hydrated. Remember cash as not all places take bank cards. 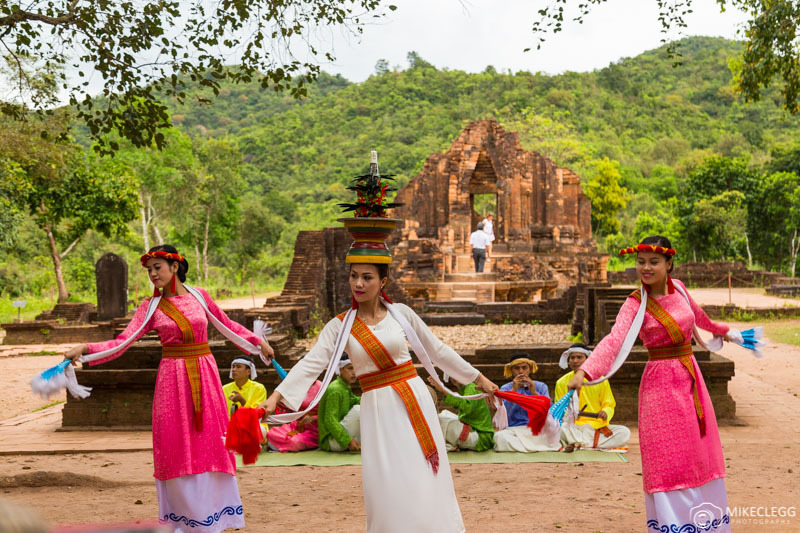 The My Son Temple Tour was in collaboration with Hoianexpress. Comments are my own based on my own experience. 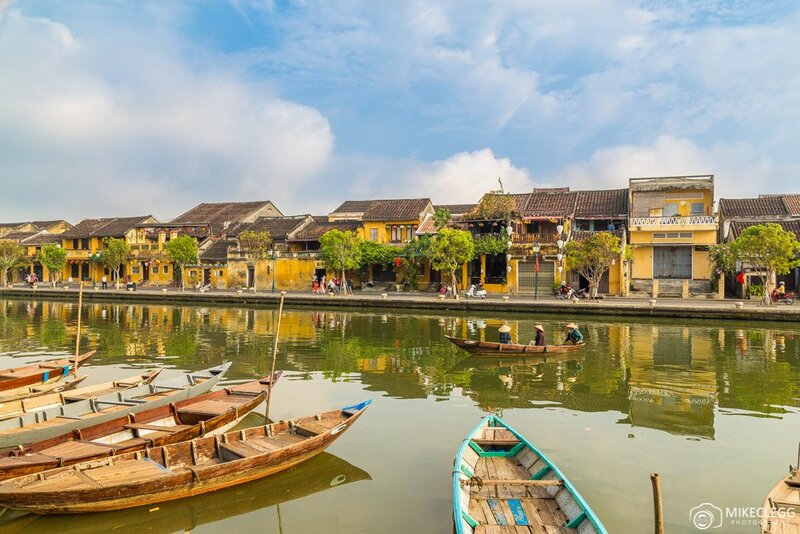 Hey Buddy!, I found this information for you: "City Breaks: Quick Guide to Visiting Hoi An". Here is the website link: https://www.travelanddestinations.com/city-breaks-guide-hoi-an/. Thank you.